This was the message that students from across Ghana took home after participating in Ghana’s first Agricultural Engineering Design Competition. 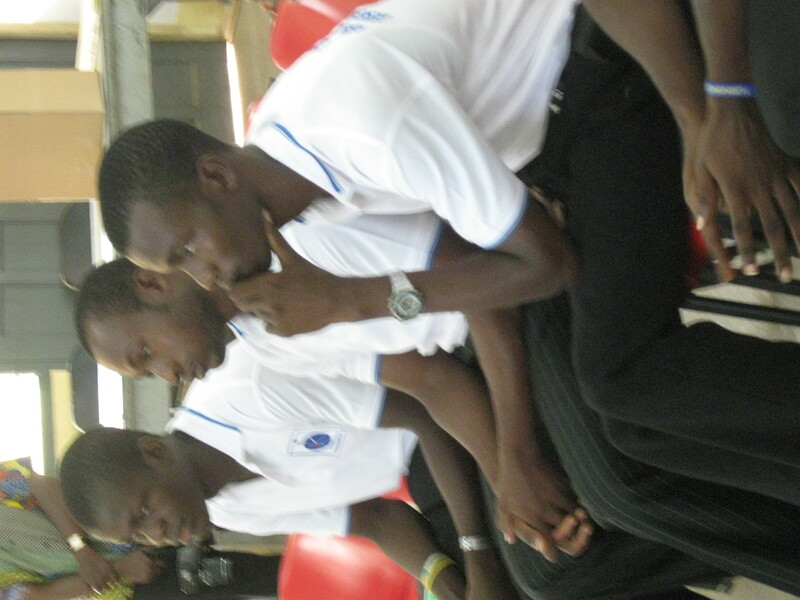 Teams of four students from five different colleges and universities attended the competition at Kwadaso Agricultural College in Kumasi last Friday, April 20, 2012. 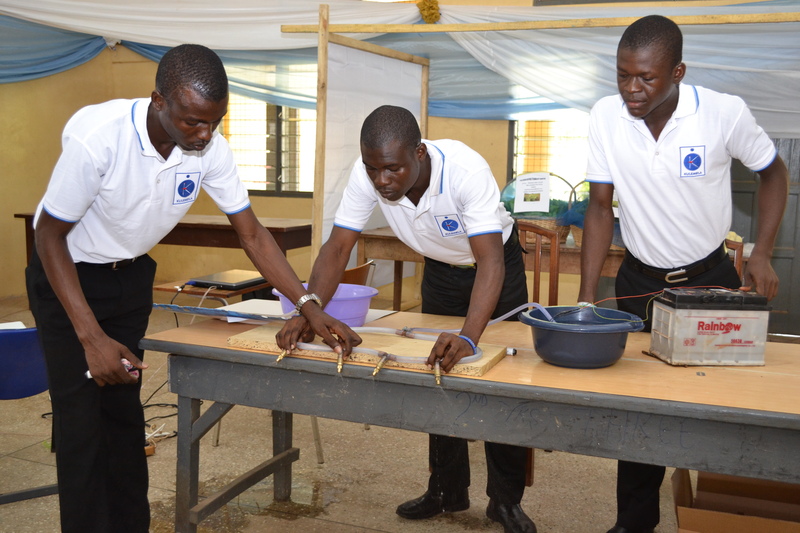 Engineering Design Competitions are something that many engineering students in Canada are familiar with, but for Ghanaian youth, this was a completely new experience. Without knowing what to expect or what would come of it, students were given a box of supplies and 3 hours to find a solution to a technical problem. The problem for this competition was a farmers group that was in need of a power-tiller mounted boom sprayer. 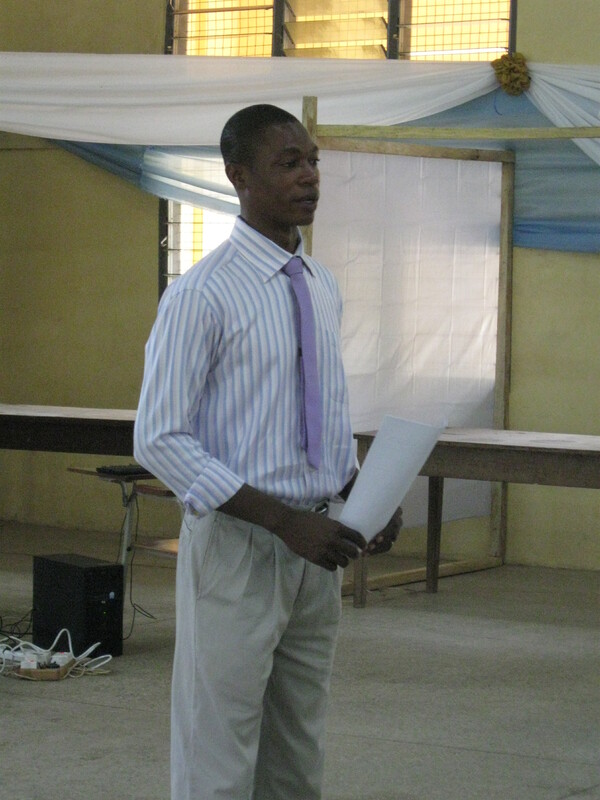 Ernest Afenyo, chairman of the competition’s organizing committee explains the rules and problem to the participants. Students listen attentively as they hear the problem that they will have 3 hours to solve. This is the first time they have participated in such a competition, but they took on the challenge with enthusiasm and an inspiring amount of innovation! 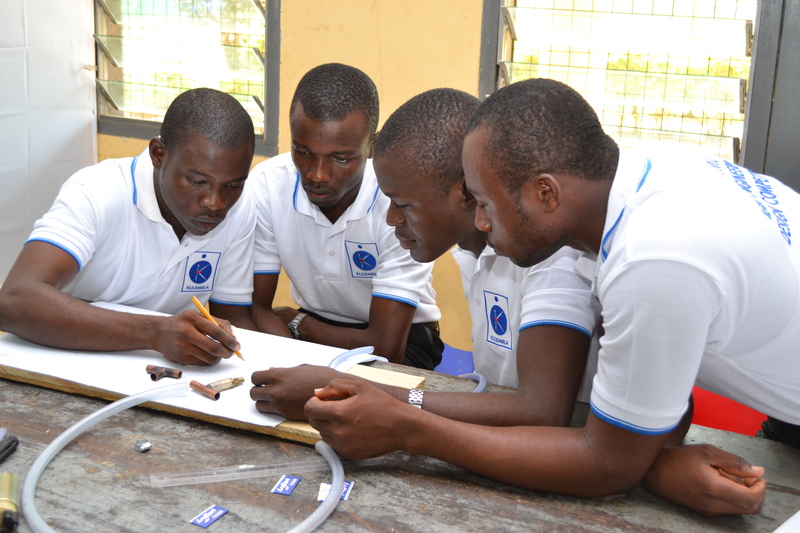 The idea behind having competitions such as this one is to promote innovation and design-based learning, as well as the value of technical education in Ghana. 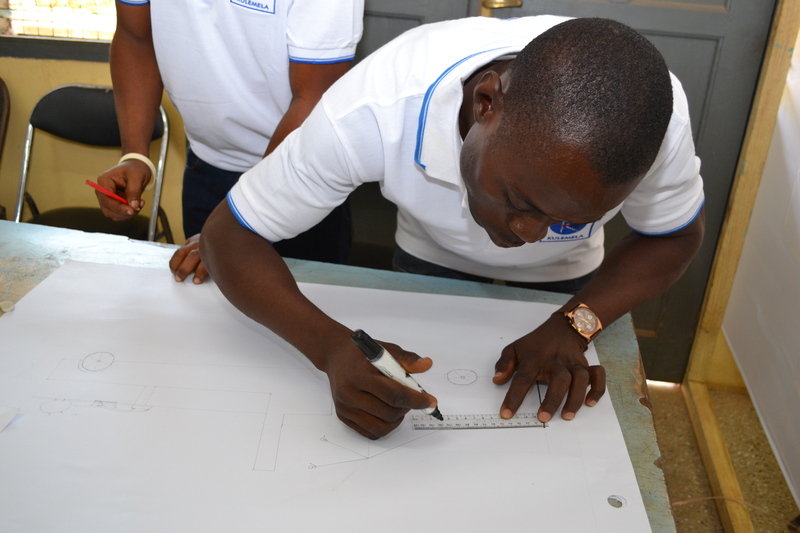 Underlying the work that went into the competition and the efforts of the students and staff is a strong belief in the capacity of Ghanaian youth to have a real impact in their communities by finding technical solutions to local problems. As Mr. Afenyo, the organizing Chairman, explained to the students: “The spirit behind this whole thing is to impart upon us the importance of thinking outside the box and solving local problems”. Promoting innovation and ingenuity is key to unlocking the potential of youth to have a huge impact on Ghana’s development and the reduction of poverty across the country. Students hard at work applying their theoretical knowledge to solving a real local problem! Much of the education system in Ghana is still centered around rote learning styles: repetition and regurgitation of theory. Competitions such as this one promote participatory and experiential learning – having students connect what they learn in the classroom to the real world. 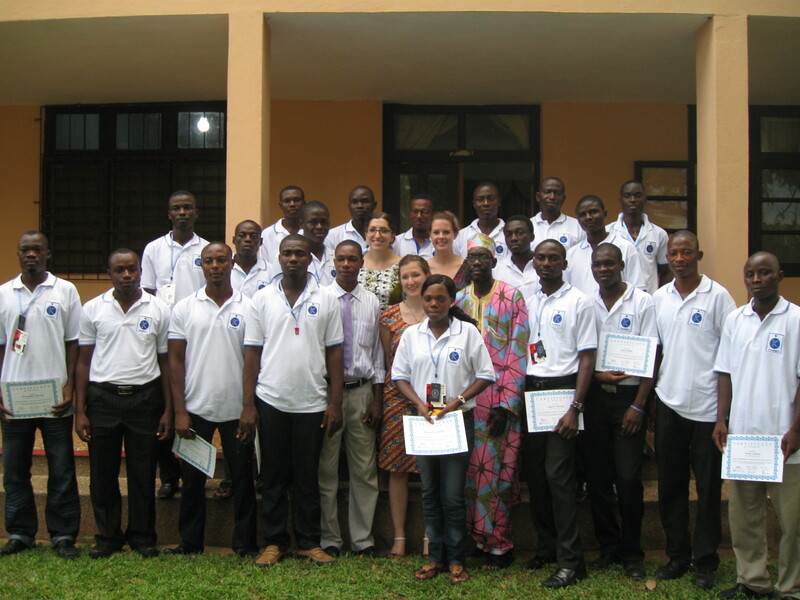 My work with EWB has been to support the implementation of experiential and participatory learning techniques into the education that students receive at Ghana’s national agricultural colleges. In particular, the incorporation of an agribusiness project component into the Agribusiness and Entrepreneurship Course at the colleges, bringing an applied component to the course. 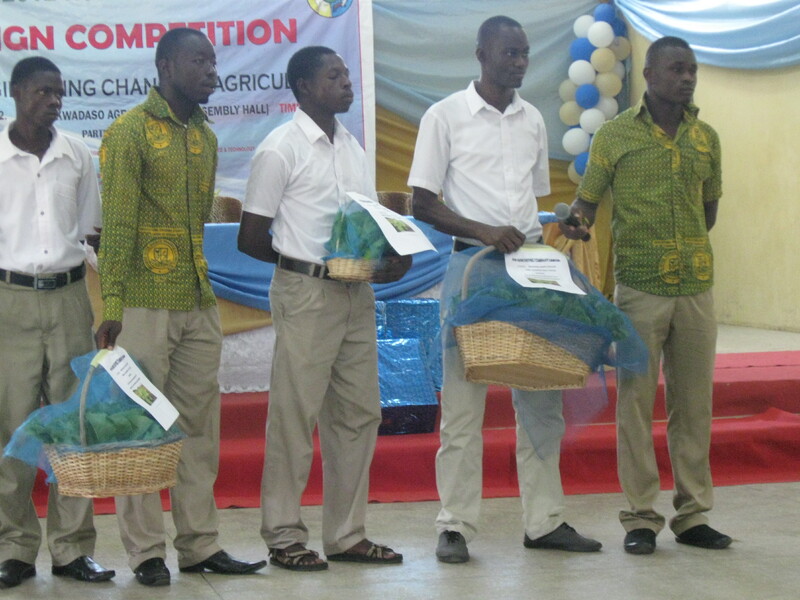 On Friday, while the students were busy developing their designs for the competition, second year Kwadaso students participated in an Agribusiness competition. Each of the students groups ‘pitched’ their agribusinesses to a panel of ‘investors’ (judges from the college and EWB). This offered the students a great opportunity to practice marketing their products. 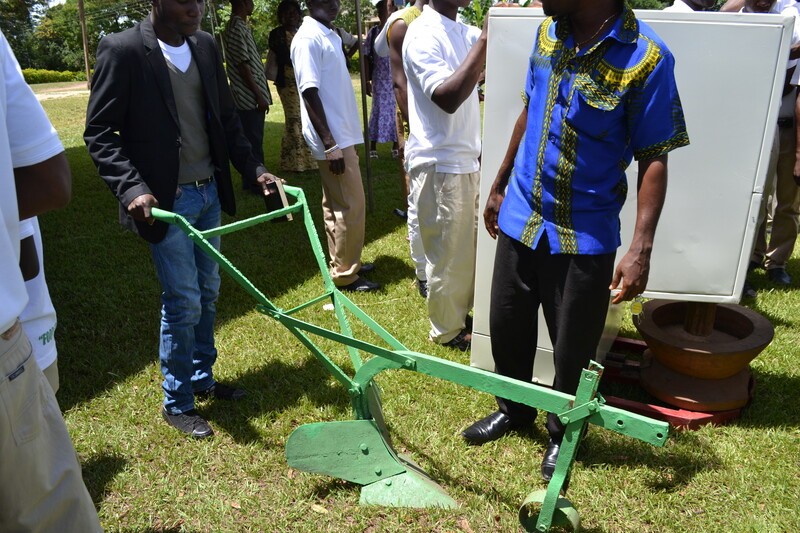 We’re already exploring creative ways make this a national and annual agribusiness competition. Students presenting their agribusiness – organic lettuce! This one is popcorn with groundnuts and cowbell…my mouth is watering just thinking about it! YUM! Ongoing during these two competitions was an exhibition by a local engineering association of some of the innovative projects that they are working on. It was a great opportunity for the students to meet representatives of industry and to see the types of things that they themselves could work on someday. 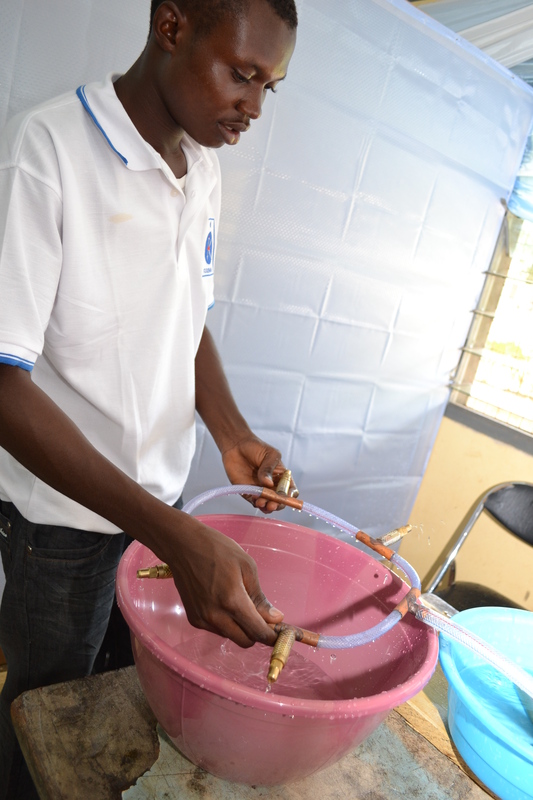 Francis, the aquaculture lecturer at Kwadaso, checks out one of the exhibits from a local engineering association. Although students arrived with little idea of what to expect, they walked away having learned a ton and grown in their capacity and confidence to be innovative change agents for Ghana. Staff and students alike are already talking about how the event can be made even bigger next year. 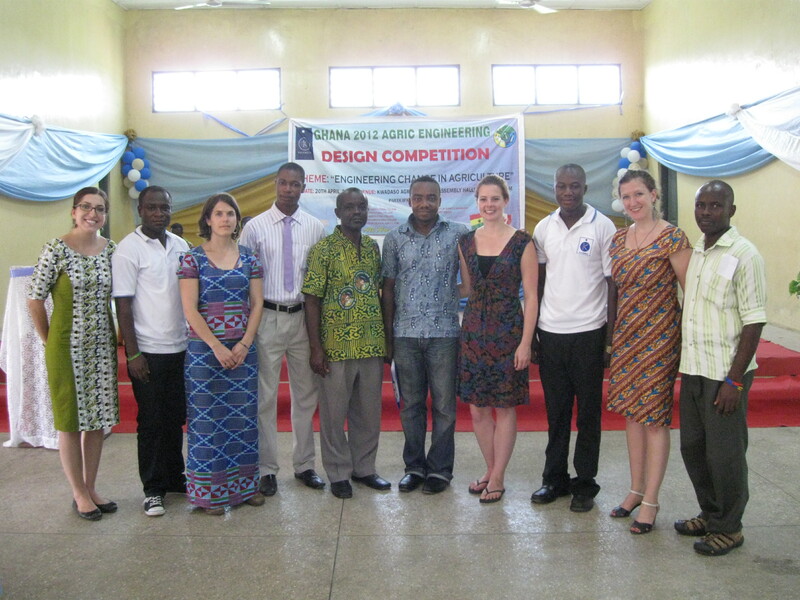 Participants – or pioneers – of Ghana’s first Agric Engineering Design Competition! 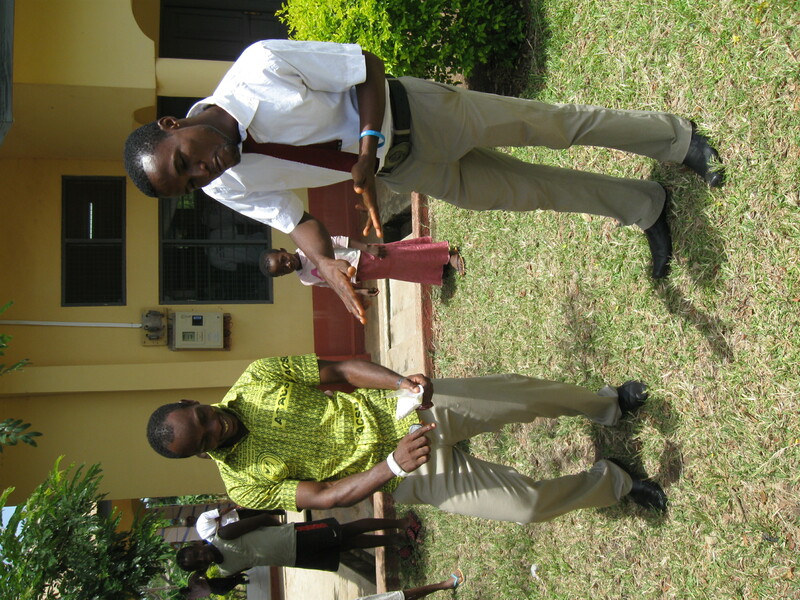 No Ghanain event would be complete without some Azunto dancing. All the people that helped to make this event such a success! After the agribusiness presentations, we went outside for some business chat, azunto dancing and picture taking. Students were really excited to talk about the ideas they have for expanding their businesses after school. Observing students literally on the edges of their seats and out of the seats watching the presentations of the design competition participants. 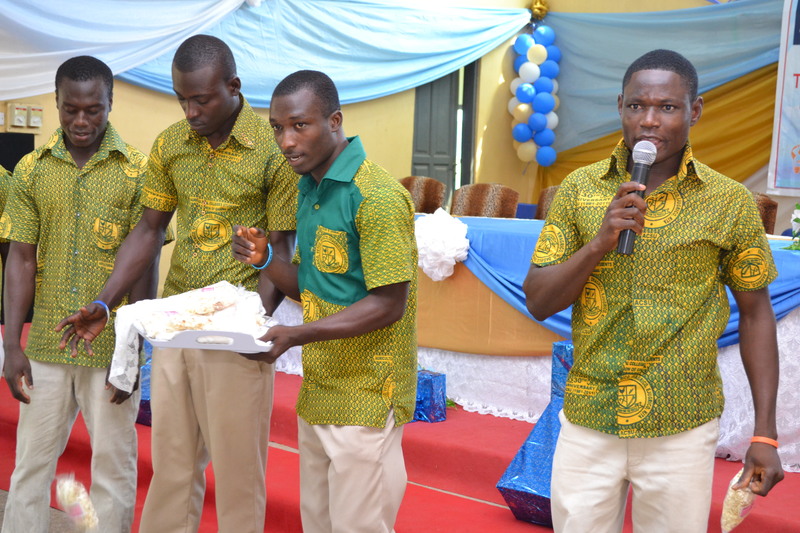 Another design from Kwadaso Agricultural College! 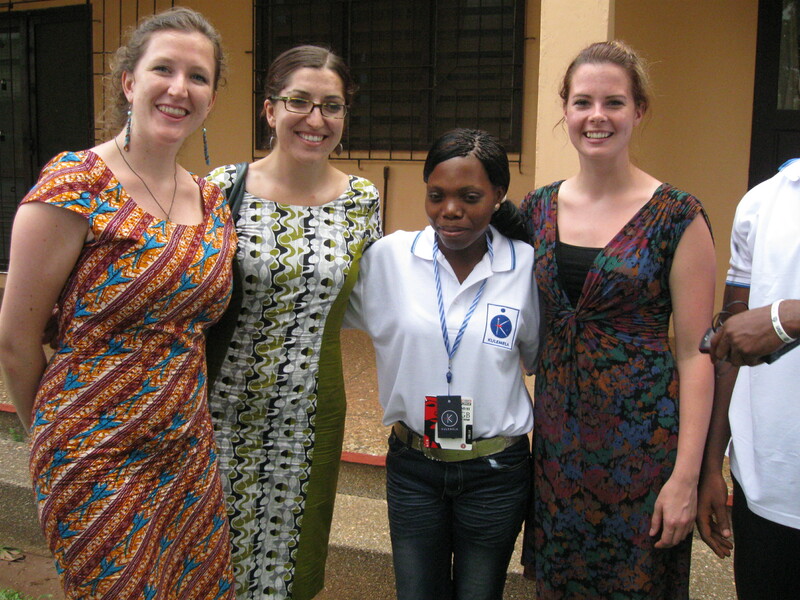 Myself, Robin and Beth with Ernestia, a competition participant whose team came in second! A huge thank you goes out to Kulemela, Kwadaso Agricultural College, Engineers Without Borders, as well as participating students and institutions for making this event a reality and such a success!